Set on a majestic 1,000 acre expanse in Utah's scenic Uinta foothills sits High Star Ranch, a mixed-use destination resort primed to host corporate events, concerts, weddings and even the occasional square dance. Hammerton was commissioned to create all interior and exterior decorative lighting for the DeJoria Center, High Star's 10,000 square foot conference center and crown jewel. Designing and manufacturing contemporary fixtures that matched architecture on a grand scale and melded with rustic ranch surroundings fit right into the Hammerton wheelhouse. 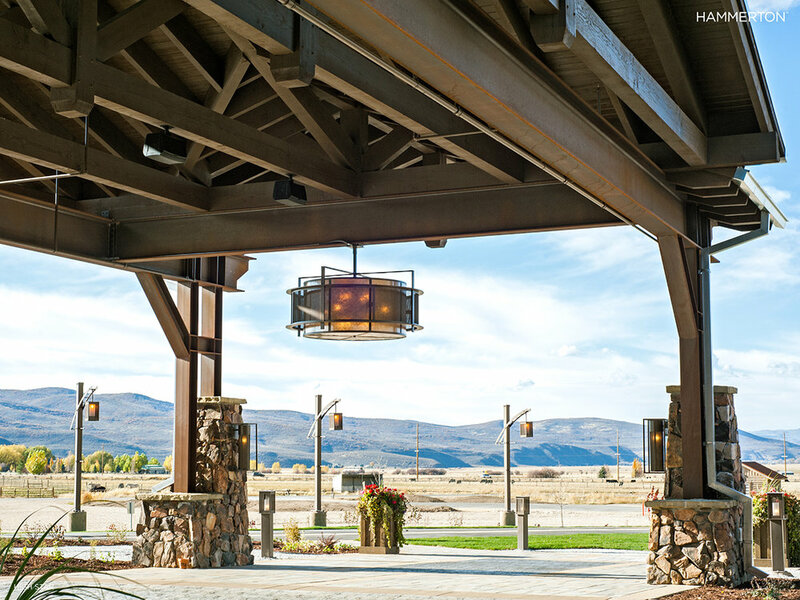 Woven mesh featured throughout the exterior lighting package gives a utilitarian nod to the surrounding farming community, while simple contemporary fixture forms allow the scenic landscape to take center stage.